Having trouble finding time and space to work on all your UnFinished Objects? Just want some time with friends to work on your projects and have fun? 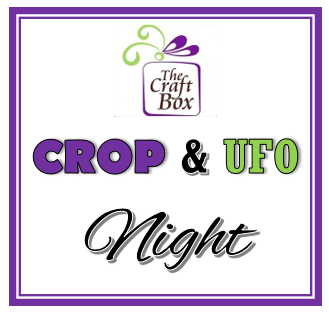 Then grab a friend and join us at The Craft Box for our monthly Crop & UFO night! For only $12, you will be provided with a light snack, a glass of wine, beer or craft soft drink, and a whole table to yourself, to work at uninterrupted, for 4 hours! Space is limited to 8 people, and spots will fill up quickly! BYO supplies and tools to work on your projects, however, if you find yourself needing something more, shopping at The Craft Box will also be available for participants.